Dr. Ryan Diederich of MidAmerica Plastic Surgery in Maryville, Illinois discusses the No Drain Abdominoplasty (Tummy Tuck) and explains how you can get a tighter, firmer stomach. From KMOV Great Day St. Louis on February 24, 2014. If you live in the St. Louis Metro region or Southern Illinois call today 618-288-7855 to see how we can help you! Watch the video below then see our education page here for more information. Alright hang on to something here. This is going to shock you. More and more men are getting tummy tucks [Abdominoplasty]. In fact our next guest says about 20% of his tummy tuck [Abdominoplasty] patient’s are men. 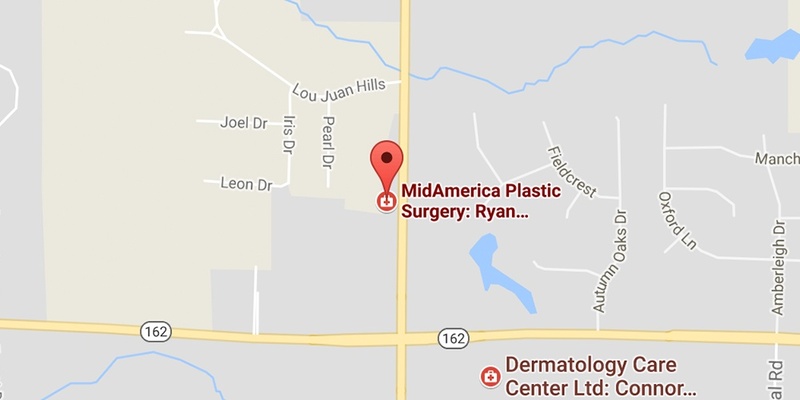 Dr. Ryan Diederich is with MidAmerica Plastic Surgery and he is here to tell us how tummy tucks [Abdominoplasty] are getting more popular and how he has changed the surgery to reduce the downtime. Right? Good morning and thanks for joining us. Well, for the 3 or 4 people out there that do not know with a tummy tuck [Abdominoplasty] is, and most of them would probably be men because obviously it’s still more popular for women. What exactly is a tummy tuck [Abdominoplasty]. A tummy tuck [Abdominoplasty] is a procedure we use to eliminate extra skin from the stomach, tighten the muscles, really give a tighter, flatter stomach. So some people just have that extra. Some people may have generated that by weight loss and just have a lot of loose skin. Traditionally it’s been pregnant woman afterwards they decided to tighten their stomach. But we see more and more variety of patients coming in whether it be due to just weight loss or surgical procedures, gastric bypass, and [gastric] banding. And it’s a good sign that people are getting in better shape, their losing the weight, we just have to do a little something to trim things up as far as their self confidence and make them look a little better. So there’s 2 types, am I right, there are 2 types of tummy tucks [Abdominoplasty]. Well there are 2 common types and many other variations. Whether it be a mini tummy tuck that just addresses that lower portion of the stomach or more commonly a full tummy tuck which really does tighten the muscles and you get the best result you can. So you are looking at before and afters here. Yes, and so that is kind of the different areas that are addressed. Oh that’s the full and the mini, I’m sorry. And there are also vertical techniques or where we go all the way around (belt lipectomy) to fix the front and the back at the same time. But you do have some very compelling, you told me, before and afters, that I’m anxious to see so let’s take a look at those because I think this is what people, this is the kind of thing people are going to be dealing with. It is, like this gentleman lost 100 pounds through diet and exercise and he’s not even 30 years old yet. He wanted to make a change. This is just 6 weeks after surgery. So you can imagine wanting to go out, you know, to the pool or whatever and not have that lose skin and just the improvement you get. This is obviously a female. Yes, and she had a few children and was looking for a little improvement, again, 6 weeks out, she’ll still have further improvement from there. I think we have 1 more. Oh yes this result is astounding. She was mostly skin and that is what we were addressing here. She had lost almost 200 pounds and had an absolutely phenomenal result. So what is it that you are doing that decreases the downtime because this is a one night stay. Shower the next day. I have personally found the results just better than I ever expected, better than I ever had with the previous technique. Back to work how long? It depends on the type of job anywhere from 1-2 weeks. Really, OK, and the scarring, because I think that will be a concern for some people. It will. You know, traditionally there was a lot of tension, a lot of pull right on that scar. What’s nice about doing it this way is there is not near as much tension, you typically get a finer line scar with less risk. 90% of the battle is losing the weight. This is the easy part and you know reducing that down time I think is critical so that’s great. Thank you so much.